Today the skies are shining overhead in Redmond, where in the Paizo office we've been recovering from a busy and exciting convention season. But we all know and feel the loom of pumpkin spice, sweaters, and clouds that's ahead from our respective desks. And if your group is anything like mine, the end of September marks the start of regular game nights. And what better to kick off this glorious season by revisiting the Pathfinder related releases headed your way? This month we're releasing our third Pathfinder Campaign Setting hardcover (under the Pathfinder RPG ruleset), Inner Sea Races. This 256-page volume delves into the history, culture, and powers of the the denizens of the Inner Sea, including in-depth coverage of the seven core races, and features of the uncommon races like goblins and tengu. You'll also find an array of new feats, spells, character traits and more to add flavor to your own character or home game. Our Project Manager, Jessica Price, has just kicked off our series of previews into the pages of Inner Sea Races, so look out for more information and art previews in the coming weeks! But what about the folks that just kicked off their own Hell's Rebels adventure? 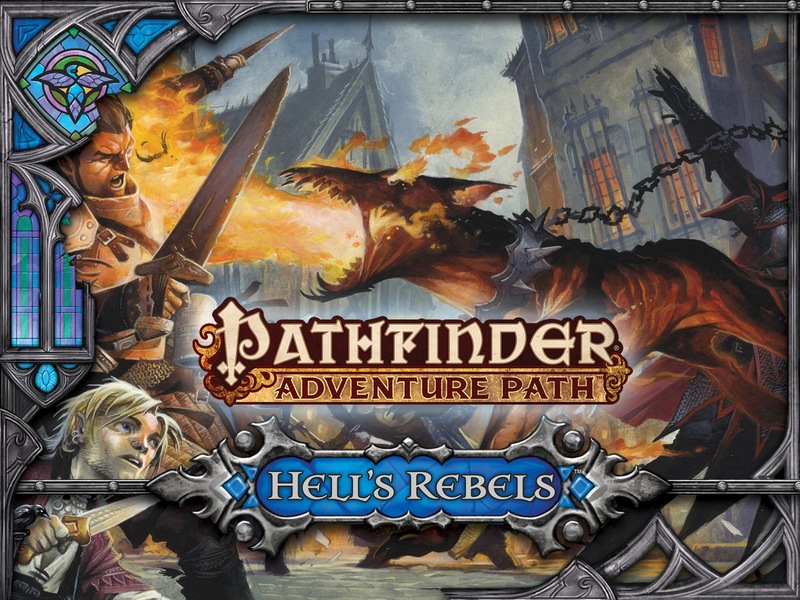 The second volume, Pathfinder Adventure Path #98: Turn of the Torrent, takes your rebel band of do-good "miscreants" through the paces as they gather allies and establish their might with the Silver Ravens. Evil is running through the streets of Kintargo, and I won't spoil it for you, but your group should probably get on that. For reasons. 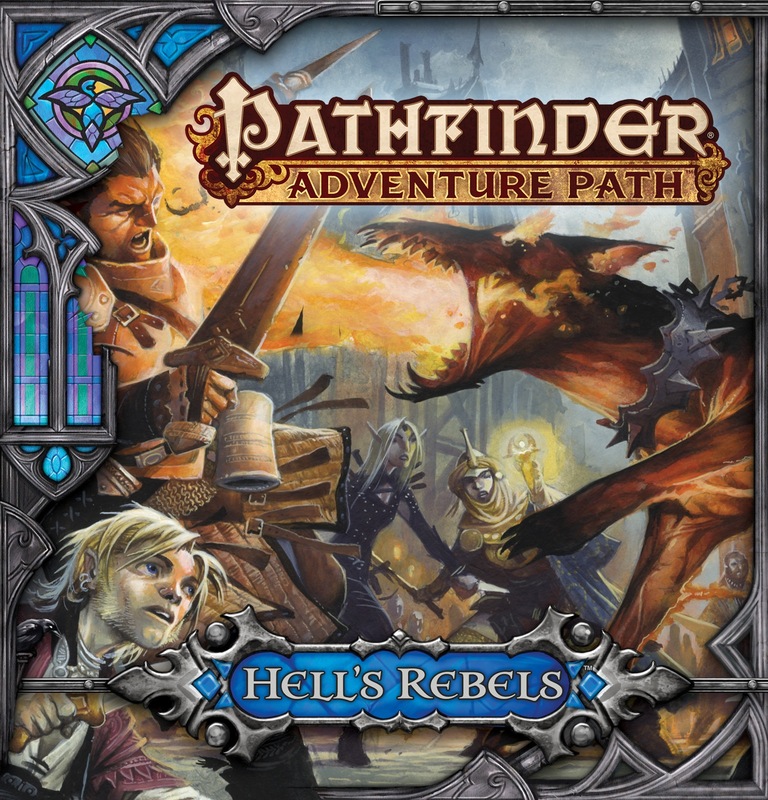 Your Hell's Rebels character might want to take some notes from this month's Player Companion, Heroes of the Streets for inspiration as well! Maybe your group is more into throwing down some cards? The fifth installment of the Pathfinder Adventure Card Game Wrath of the Righteous is coming out, and it's got demons. A whole lot of them. But what if you don't have a group? 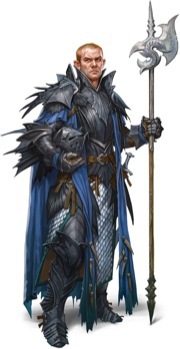 You might want to look into the Pathfinder Adventure Card Guild, where you could bring our favorite monk, Sajan from the new Monk Class Deck, to the table in fist-to-claw-claw-bite demon combat. We also brought back the long-awaited Pathfinder Combat Pad! Now armed with more magnets, this latest printing helps keep tracking initiatives in your game just that much easier. And if this isn't the only reprint you've been holding out for, we're happy to announce the next two installments of our Pathfinder Flip-Mat Classics line, City Streets and Prison, are now available. 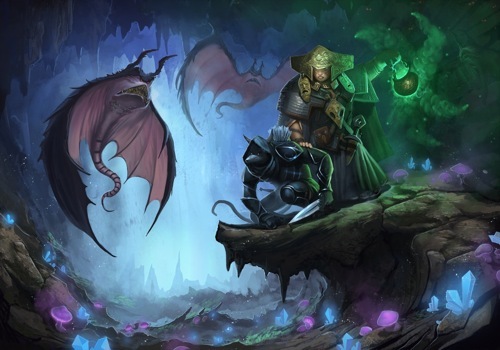 In addition to our announcements made in the last roundup blog, which included the announcement of Pathfinder Adventure Path #100, today we're adding the latest Pathfinder Comics series: Hollow Mountain! The first volume is authored by our very own Executive Editor, James L. Sutter, where our heroes find themselves in a position where they just may have to try to get along with some the most notorious villains out there. It might seem like 2016 is the very distant future, but not here! 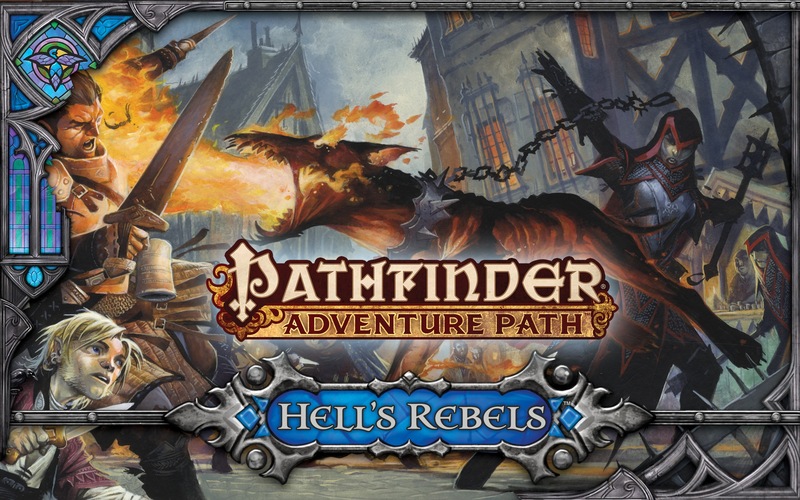 As we approach the new year, our Hell's Rebels Adventure Path concludes and the counter Hell's Vengeance Adventure Path will begin. Fans and followers of RPG Superstar will also see the release of our 2015 winner Monica Marlowe's module Down the Blighted Path in January as well (and I suggest you check out the hopeful module writers in the current competition going on now!). As always, the release dates are subject to change, but you can see the most up-to-date information on the Product Schedule page, or on each individual product page. Did they move up the release of Pirate's Prophecy by a month? I remember it being released in Feb. Your link to 'last roundup blog' just brings us right back to this blog entry. Great art on the Hell Knight! I assume we'll get more information about the guy in the upcoming installment of HR, right? Hmm. No mention of Pathfinder Tales: Hellknight. Does it not yet have a firm release date? The street date is 2/2, but because of how our subscriptions work, it's heading out from here with our January shipments (with the caveat that we always note that these dates are subject to change as necessary).